I haven't been this excited to write a blog post in ages. My trip to Madeira was honestly one of the best, and I have so many memories which I know I will treasure forever. Before going on this trip I really did not know much about the island in the slightest. My parents had visited 25 years ago and always had such fantastic things to say about it. As I went with my parents on this trip I kind of just let them plan it, and was just happy to having our annual family two week summer holiday booked. I did do some research before we went and we always buy a guidebook which I think is a staple for any trip. We noted that there were a few tourist attractions and places which we definitely wanted to visit. My parents still love to go holidays where you have a rep. 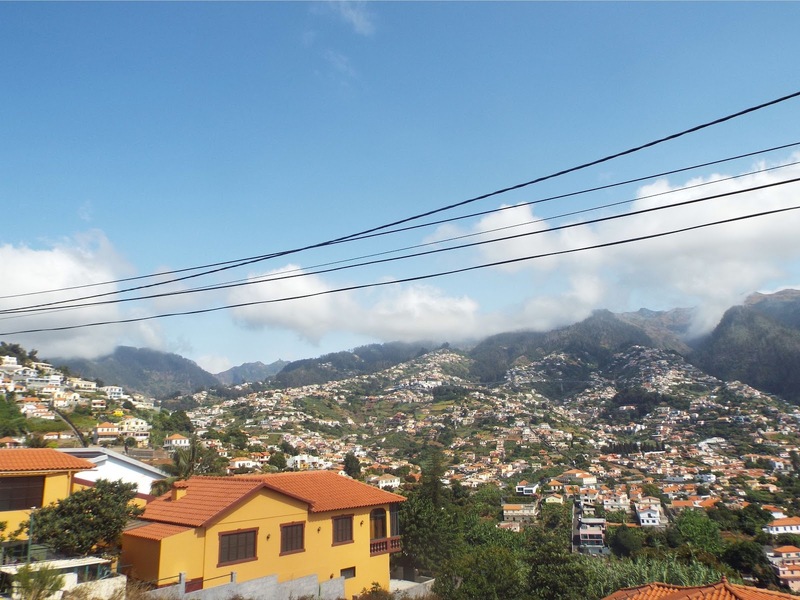 This year it was very useful as we attended the welcome meeting and we were told a lot about the city of Funchal which is where we were staying. We stayed about the Hotel Girassol which was located just on the outskirts of the city. There were lots of hotels in this part of the city as it was just a little bit away from the main city action, but there were still lots of bars, restaurants and shops. We were told by the rep that getting into the centre of Funchal would be a 30 minute walk. Most of the time we opted to use the local buses which costs €1.95 per person each way. It was a 10 minute journey and the buses were every 15 minutes. This was the first holiday where we have ever been all-inclusive and I have to say it was definitely good value for money. We usually go self-catered and I did the miss being able to stroll and choose the restaurant and have a more varied selection of food. However, the hotel did provide a good variety of food, but by day 14 as I think with any all-inclusive holiday we were a little bit bored. On two of the nights we choose to eat out of the hotel but just stayed in our smaller resort and the food was great. One thing we did notice though is that the food is not cheap. A meal for 3 would cost €60-75 depending on if we wanted wine or not. We did all say though that the food was delicious so we did not mind paying it, but if you were self-catered it would have been a large expense. 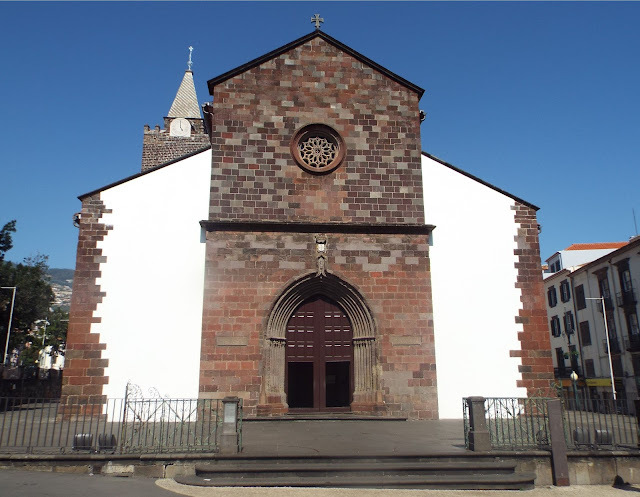 We also ate in the centre of Funchal when we went in for either the attractions of to look further around the city. Once again the food was great, and there was a wide range of food on offer. If you like fish then Madeira is perfect for you, as they catch all their fish locally and it is one of the main trades and incomes for the island. The first attraction we did was the cable cars. This is definitely one of the top tourist attractions which Madeira has to offer to visitors. The cable cars take you into the hills and when I say it goes high, it goes high! I'm not a huge fan of heights, but this shocked me as on the way up I felt queasy and scared. Once at the top you arrive in Monte which is a small village, we planned to go around the Botanical Gardens which you can only get to by taking the second cable car half way back down the hill. This was opened in the 1960's by the Reid's family (who I will come onto later). The gardens were lovely to walk around as the sun was shining and it was a pleasant, but steep walk. We then went to a lovely little cafe that has the most fantastic views overlooking the island. When we go on holiday I always think the sightseeing buses are worth paying for. They give you a great insight of the city, you learn about their history and also you can hop on and off to sights which you want to see. We chose to go on the city sightseeing bus as it went to all of the places we wanted to visit. On the first day we decided to get the blue line which took us to Monte, where we went to the Monte Palace Tropical Gardens. Out of the two gardens if you only have time to visit one, I would definitely choose this one. It is absolutely huge in total is covers 70,000 square meters, and it took us hours to go round. This is also fairly steep, as it is set in the hills but it was so beautiful. There are waterfalls, bridges and tropical houses which have exotic plants from all over the world. It is kind of like a spiral down and when you reach the middle you get to the museum which so beautiful to look at, it is surrounded by such an array of plants and trees and has a lake running throughout the middle of it. Monte is also where you can get on their famous basket carts, they are basically big wooden woven baskets which two people sit in. You start at the top of a very steep hill and two men push you down and it's basically a big slide, but in fact it is down one of their regular roads with cars. We were considering doing this but we thought it was expensive and we did not have a real desire to do it, although it would have definitely have been fun. On the second day of using our city-seeing bus tour ticket, we visited a place called Camara de Lobos. The bus which takes you here are much smaller as they have to get up the narrow winding roads into the very edges of the island. When you reach the top there is a large fishing port and a picaresque stretch of shops and restaurants. We spent an hour or two looking round and then sat down overlooking the port and had some lunch. On the way back down we finished off by swapping buses and seeing the other parts of the tour which we had not yet done. Reid's Palace was somewhere which my mum had mentioned quite a few times, and was definitely at the top of her must visit list. The rep informed us of what it was and its location, my mum was determined for us to go during our holiday at some point for their famous afternoon tea. 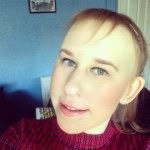 There was so much to write about that I have actually written an individual post all about it here. 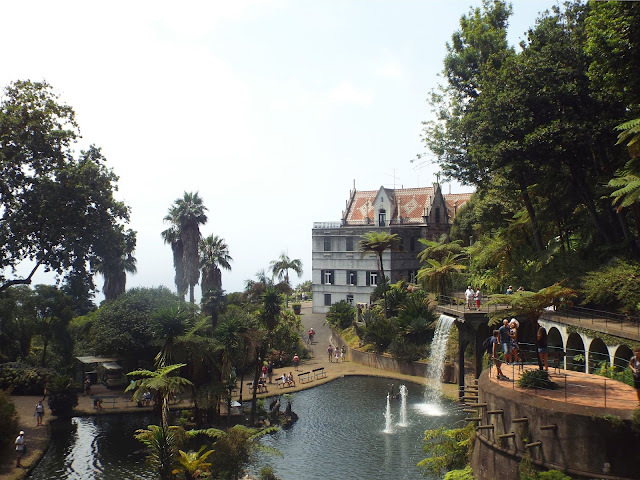 To give a very concise round up, Reid's Palace is a five stars hotel which is in Funchal, they offer an afternoon tea where you sit on their balcony which overlooks the entire island. It is a must visit trip from me, and it is a memory which we will all be telling people when this holiday is brought up in conversation. The city of Funchal itself has a lot of exploring on offer, as it has an old and a new town. Within the new town they host many well-known shops, and I definitely did more shopping than I expected! The city also has a cathedral which is open must times of the day, and has some stunning stain-glass windows to view. The city is perfect for strolling and stopping off for a tea and cake every hour. Funchal is a popular destination as the first stop on a lot of European cruise liners, meaning that some days the city could be very busy with a large amount of tourists. This is great for the locals and their businesses as it brings a lot amount of income for them. Overall, I had such a fantastic holiday and I have recommended to everyone who will listen that they should visit Madeira. They live such a lovely and relaxed lifestyle, and I definitely de-stressed and relaxed from the usual hustle and bustle of everyday life. I don't think I would rush back as I feel as though we thoroughly explored a lot of the island. I love to discover new places and I cannot wait for my next adventure.